GN4N relies on me to carve out the humor in environmental events. Usually all the task requires is a blunt knife. We all grin and bear the U.S. presidential campaign. Same with world celebration of celebrity over substance. But I can’t find anything funny about Volkswagen’s fraud in intentionally hiding the emissions produced by its “clean diesel” engines. However, maybe there can be a silver lining to the cloud of dark smoke that their cars are producing. Before the world learned that VW installed software to turn off their cars’ emission controls except when undergoing testing, the company touted their diesel engines as a step toward a cleaner automotive future. 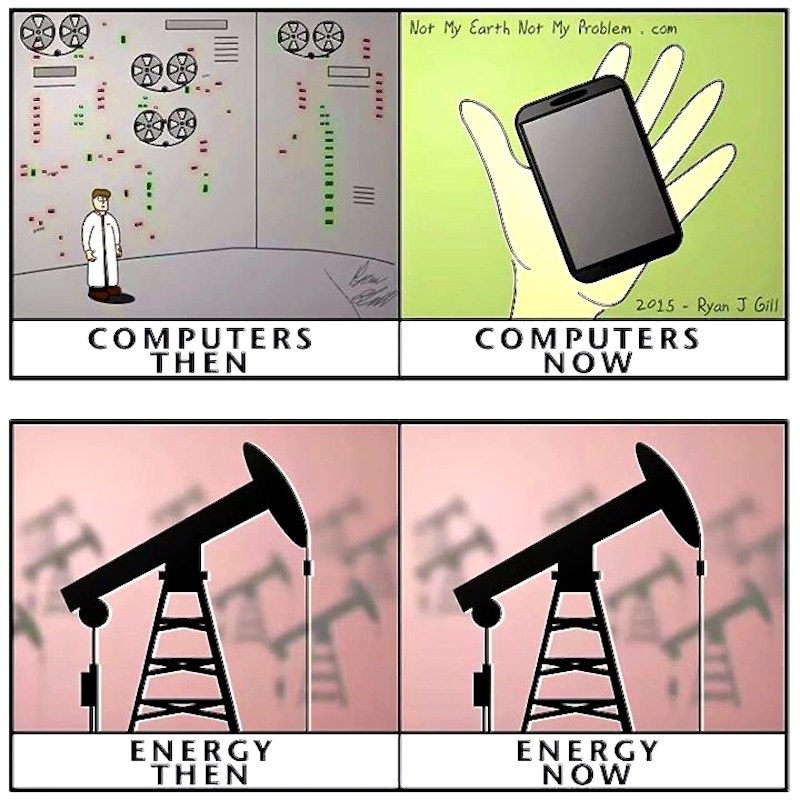 But let’s get real, further developing the burning of fossil fuels to power vehicles is really a step backwards. The technology is over a century old. Karl Benz built his first gasoline-powered car in 1886. Rudolph Diesel built the first commercially viable Diesel engine in 1897. The first vacuum tube, which started the wireless electronics age, wasn’t invented until after that in 1904. We’ve moved beyond vacuum tubes. It past time that we move beyond fossil fuel combustion engines. 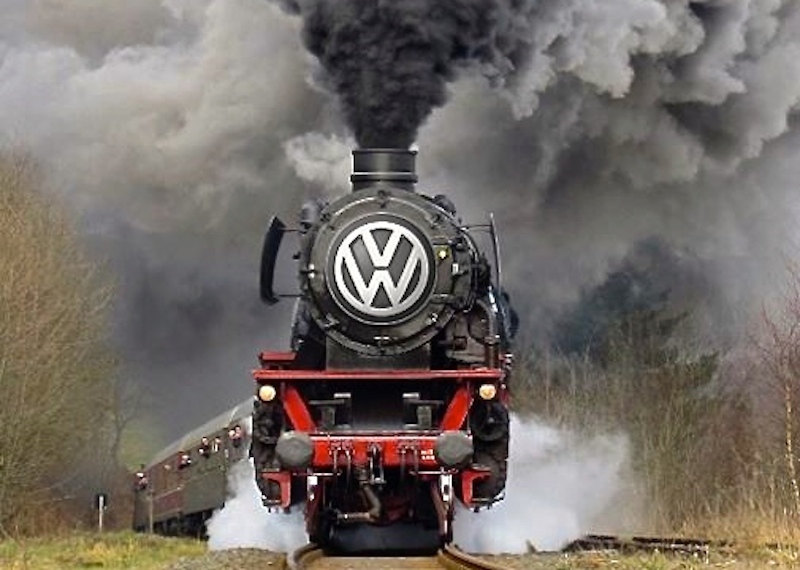 Hopefully discovery of VW’s deception will raise awareness and help accelerate the end of our reliance on fossil fuels, sort of like a forced intervention into a cultural addiction. Maybe more people will come to realize that “clean diesel” and “clean coal” are both oxymorons. Also perhaps the situation will result in greater political support to police the environmental protection laws that we make. An independent nonprofit organization, the International Council on Clean Transportation, discovered the deception, not the EPA or any other government body. Best of all would be if consumers began to vote with their wallets and Volkswagen’s sales fell. That would wake up all of big business to the fact that we do care about the environment. If recent events help diminish public acceptance of fossil fuels, cause Volkswagen’s sales to drop, and increase governmental enforcement of green regulations, then even with all the tons of illegal pollution that VW’s have been secretly spewing into the air, and continue to spew, something good will ultimately come from this. Thanks to James Myers and Diana Archangeli who respectively provided links to the article that inspired this commentary and the images that accompany it.